We often hear from people who have witnessed the health decline of their parents and are concerned that this is their destinies as well. 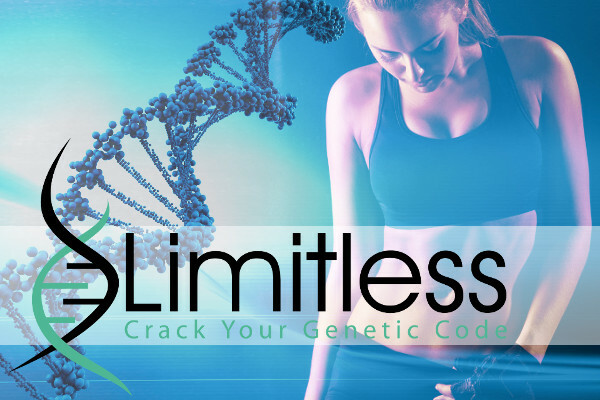 We know this does not have to be their fates, so we created a proprietary five-step process called Your Destiny, Your Decision based on genomic science and functional medicine. This process helps individuals rewrite their stories through the implementation of customized lifestyle plans based on their genetic codes. The third phase of the Your Destiny, Your Decision process is the Genomic Positioning System or GPS. The GPS analysis provides a clear blueprint, showing how to perfectly align your lifestyle and environment to achieve your health and performance goals. Gain your nutritional blueprint and implement your unique genetic dietary plan to enhance your energy, improve your body composition, and turn on anti-aging pathways. This section of the full genomics report provides answers to these nutritional genomics questions and gives you strategies about how to structure your food intake to match your genetic profile. Do you have the gene that allows you to eat more carbohydrates to lose weight and decrease your risk of developing chronic disease? Do you have the genetic privilege to eat saturated fat and benefit from it? Do you need a low, moderate, or high protein diet to lose weight and put on muscle? Do you have the “Sweet Tooth” Genes that are sabotaging your ability to lose weight and feel great? Learn your body’s specific needs for supplements to improve its biochemical pathways, which can help you build a healthier immune system, improve brain function, decrease oxidative stress, and enhance mitochondrial energy production. This section of the full genomics report will provide you with answers to these questions and give you strategies on what supplements you should be taking, and, more importantly, what you shouldn’t be taking. Are you genetically privileged to handle caffeine? Do you require methylated B-vitamins? Are you able to convert sunlight effectively into the active form of vitamin D? Magnesium is responsible for more than 300 different enzymatic processes in your body. Are your kidneys getting rid of it faster than the average individual? Is your blood pressure elevated because your body isn’t producing enough Nitric Oxide to create vascular relaxation? Are you sodium sensitive and need to avoid salt? Learn about what type of exercise or athletics would best benefit your body, muscles and its composition through genome analysis. This section will provide you with the answers to these questions and provide you clarity on what types of exercise would benefit your body type. Were you born to be an endurance or power athlete? Were you made to be a sprinter, a marathoner, or to lift heavy weights? Does your body’s collagen structure increase your risk for certain types of injury? Do your muscles recover quickly or more slowly after an intense exercise bout? Your circadian rhythm is one of the most important factors impacting your health. It can either help you excel or create a major disruption. This section of the Genomic Blueprint will provide clarity about the type of sleeping patterns that enhance your ability to recover and repair. Methylation, detoxification, and glutathione production are important factors in our abilities to regulate hormones, clear toxins, balance neurotransmitters, handle oxidative stress from endogenous and exogenous sources, and regulate immune function. This section of the Genomic Blueprint allows us to determine how well your phase one and phase two detoxification pathways are working as well as your glutathione production and utilization. These pathways are essential to detoxify hormones such as estrogen, chemicals, and pharmaceuticals and handle oxidation. This section of the Genomic Blueprint report examines your genetic privilege for longevity. Contact us today to learn more about this modern genetic analysis.